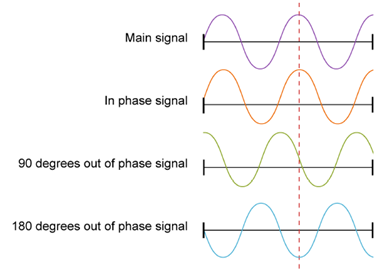 Radio waves repeat their pattern over time (at a given point in space), but also over space. The physical distance from one point of the cycle to the same point in the next cycle is called a wavelength, which is usually represented by the Greek symbol λ (lambda). The wavelength is the physical distance covered by the wave in one cycle. The dB scale is also used to compare the relative power (called gain) of antennas. 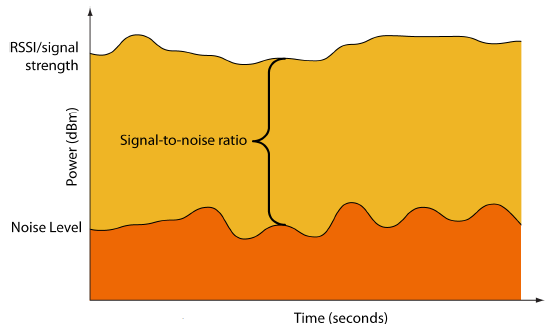 dBi is the most common scale for antenna gains, but some wireless professionals prefer to use an existing antenna as the reference. 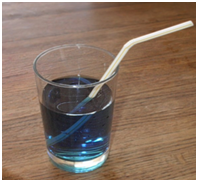 The antenna chosen is the simplest possible antenna, called a dipole antenna. This comparison is expressed in dBd. The EIRP is very important. Most countries allow a maximum Tx power of the transmitter and a final maximum EIRP value. When designing networks with specific antennas, you must know your system EIRP and make sure it complies with local regulations. Autonomous APs use a firmware/software which offers wireless service without a controller. We can configure/manage each autonomous AP using the CLI via a console port or Telnet/SSH. Default credentials are none/Cisco (means no username is required, and default password is Cisco). Once we connect a Autonomous AP(Without any configuration done from our side) to LAN then it tries to get a IP from DHCP server indefinitely. Better to configure a static IP to AP via CLI ad then open a web browser to access via web interface. This static IP address is assigned to the AP bridge interface, which is a virtual interface, also shared by all radios and Ethernet interfaces. Basic configuration can be done by express setup but there are many limitation of this setup. Cannot edit SSIDs (delete SSIDs and re-create them). Cannot assign SSIDs to specific radio interfaces (default enabled on all radio interfaces). Cannot configure multiple WEP keys. Cannot assign an SSID to a VLAN that is already configured on the AP. Cannot configure combinations of authentication types such as MAC address authentication and EAP authentication on the same SSID. 1st Way: Use an IOS-to-CAPWAP upgrade tool running on Windows. The autonomous AP must be running Cisco IOS Software version 12.3(7) JA or higher, and the WLC should be running version 3.1 or later. PC with the Lightweight upgrade tool is also required. In the IOS-to-CAPWAP upgrade tool, we would input a text file (containing each AP to convert IP address, and telnet and privilege mode credentials) and would provide the information needed for the conversion process (controller details, TFTP server IP address, and CAPWAP firmware filename). The tool would then connect to each AP and run the conversion routine. 2nd Way: We can also convert the AP from the Cisco WCS interface. 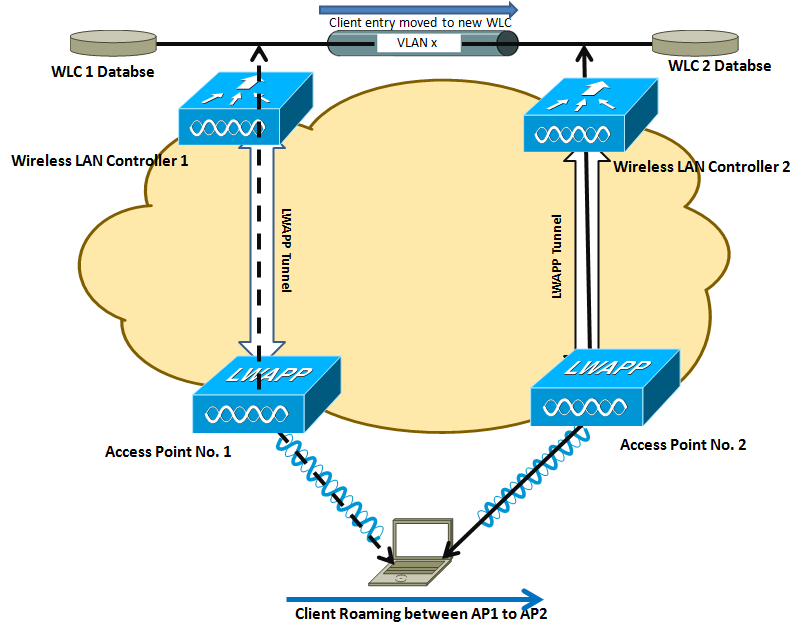 First add the autonomous AP to the WCS (from Configure > Access Points > Add Autonomous AP). After the autonomous AP is added to WCS, go to Configure > Migration Templates and create a template to convert the autonomous AP to CAPWAP. 3rd Way: Convert the AP directly from the CLI with the command archive download software ftp|tftp://<address and name of the minimal CAPWAP file to use>. Download the Cisco IOS firmware image for specific AP. Put this image in a TFTP server (k9w7 – IOS version of the AP code). Then we must associate the CAPWAP AP to the controller, and run, from the controller CLI (migration is not available from the controller web interface), the command config ap tftp-downgrade tftp-server-ip-address filename access-point-name. LAN (local area network) is a data communications network that typically connects personal computers within a very limited geographical (usually within a single building). LANs use a variety of wired and wireless technologies, standards and protocols. School computer labs and home networks are examples of LANs. Consume more power but extend the connection to about 300 feet (100 meters). PAN (personal area network) is a term used to refer to the interconnection of personal digital devices within a range of about 30 feet (10 meters) and without the use of wires or cables. For example, a PAN could be used to wirelessly transmit data from a notebook computer to a PDA or portable printer. Have a short range (up to 20–30 feet/7–10 meters), commonly use the 802.15 family of specifications to connect two or a few devices with low power consumption. 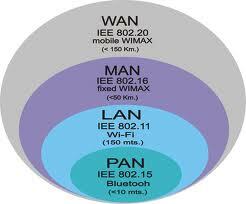 Bluetooth is an example of WPAN protocol. MAN (metropolitan area network) is a public high-speed network capable of voice and data transmission within a range of about 50 miles (80 km). Examples of MANs that provide data transport services include local ISPs, cable television companies, and local telephone companies. Extend the range to a larger geographic area, such as a city or suburb. 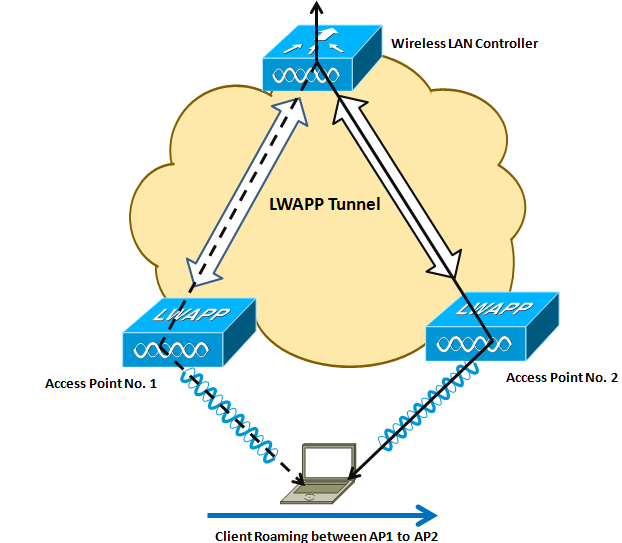 Applications vary from point-to-point or point-to-multipoint links to multiuser coverage. WMANs typically use licensed frequencies (a fee has to be paid for permission to use the frequency), although implementations in the ISM bands can also be found. WiMAX is an example of WMAN protocol (most WiMAX implementations use licensed bands). WAN (wide area network) covers a large geographical area and typically consists of several smaller networks, which might use different computer platforms and network technologies. The Internet is the world’s largest WAN. Networks for nationwide banks and superstore chains can be classified as WANs. Provide connectivity over a wide geographical area. 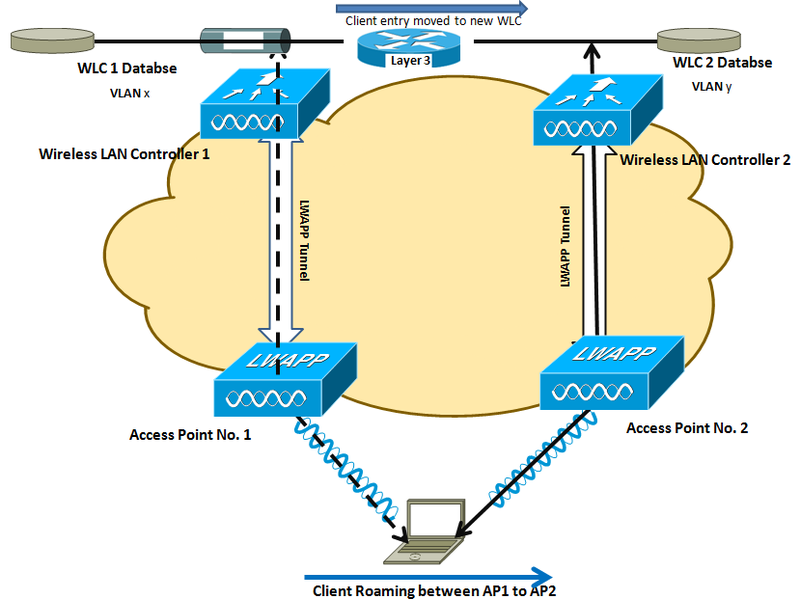 Usually, WWANs are networks used for mobile phone and data service and are operated by carriers. WWANs typically use licensed frequencies. Since I did not have any certification in Cisco Wireless (CCNA, CCNP…or CCIE). I decided to read Jerome Henery quick reference guides to get the basics of technology. I will not go for CCNA Wireless exam but still I want to gain the knowledge . I will read these books first(Atleast twice) and then will come back for new post. Hope is one of those no-win-no-fee things, and although it needs some encouragement to survive, its existence doesn’t necessarily prove anything.